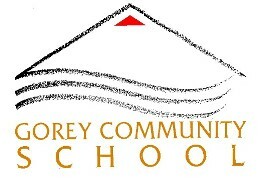 Well done to Ms.Sybil Rothwell and Mr.John Whooley and all teachers involved! 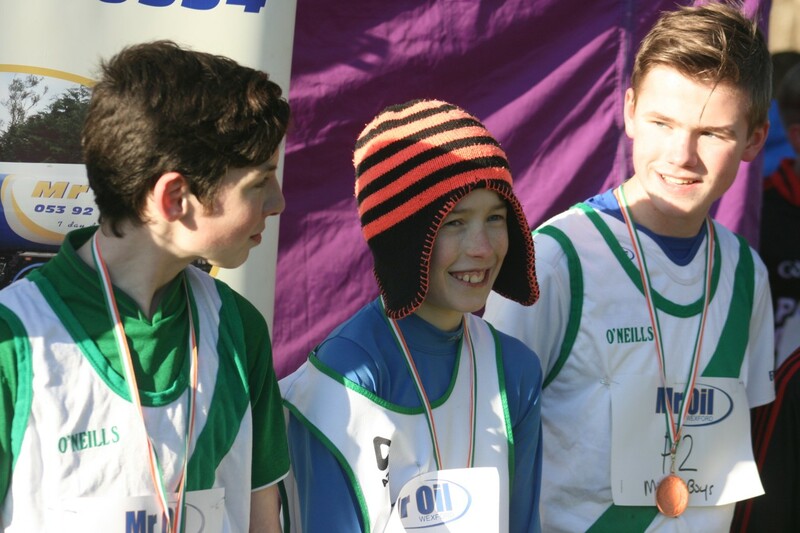 Gorey Community School came away with four excellent medals at the Wexford School's Cross-country Championships involving 24 schools from Wexford. 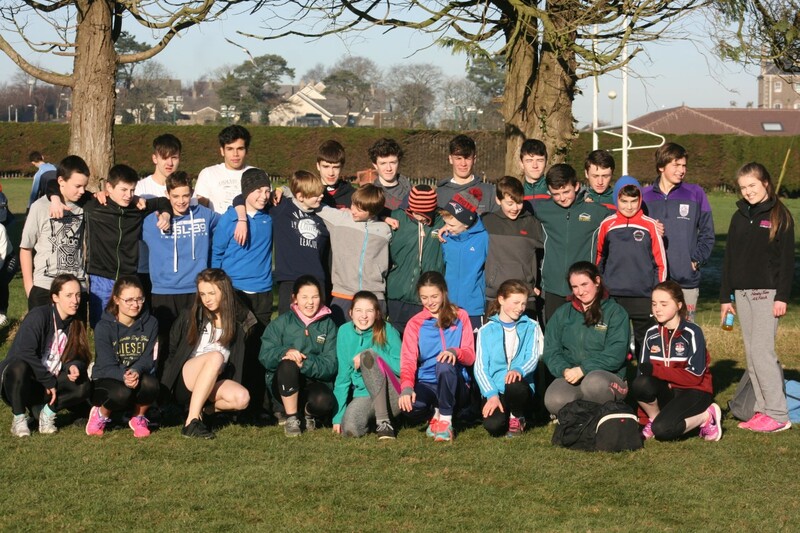 Thirty-Two athletes represented the school with some excellent running by every member of the team. 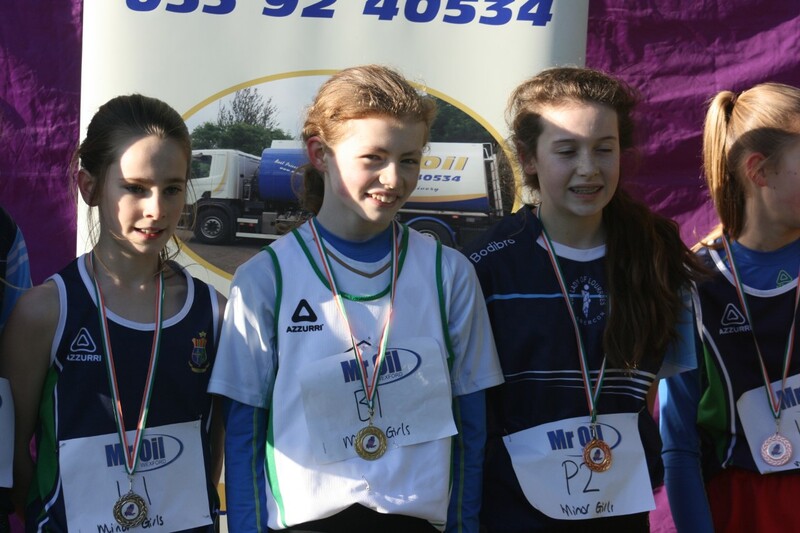 Gold for Elizabeth Gahan in the Under 14 Girls. Gold for Joe Byrne in the Under 14 Boys. 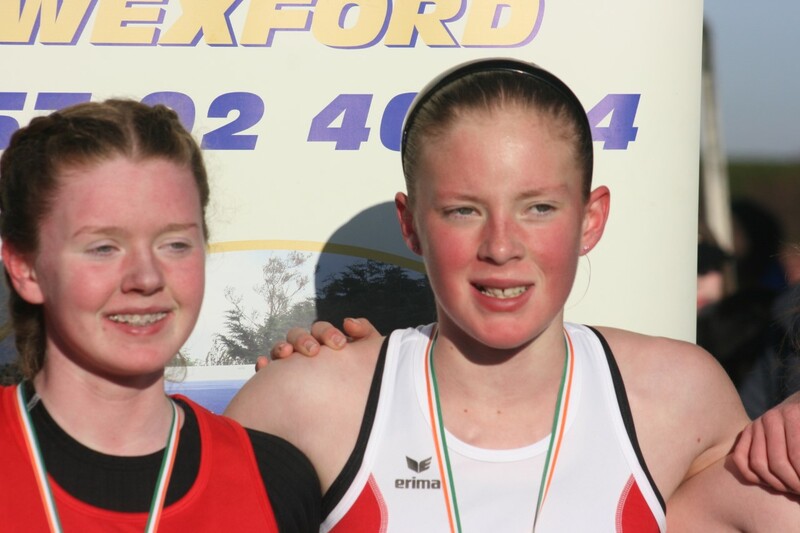 Gold for Corrine Kenny in the Under 15 girls. 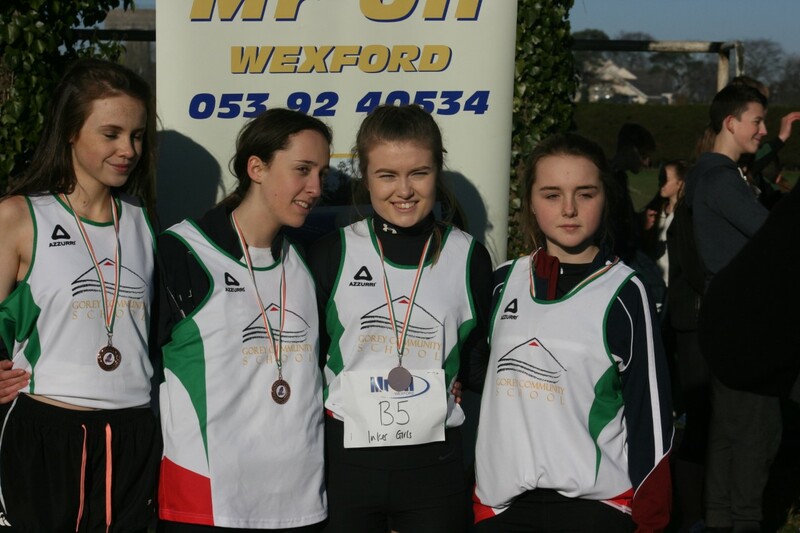 Bronze in the team event Under 17 girls, Molly Maher, Jean Condren, Luica Gomet & Kelly Brennan. Other outstanding performances by Ignas Siksnius, a strong 14th in the Senior men's race, Oliver Gahan raced very well to finished 11th in the under 17 boys, Joel Mckillen in the Under 15 Boys and Molly Maher, 10th in the Under 17 Girls also produced some very strong performances.